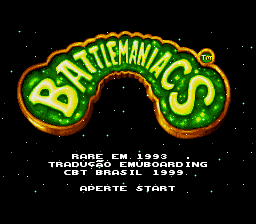 Battletoads in Battlemaniacs is an action beat ‘em up game for the Super Nintendo. 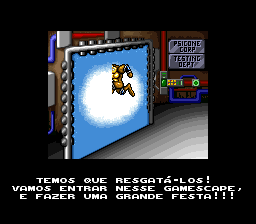 Here is a 95% Portuguese translation of Battletoads in Battlemaniacs. A Header must be applied to this ROM if one is not present before applying the translation patch. The patch is in IPS format.